Hungry To Try Chile Food? Chile food is one of the best foods in the world, and I’m assuming that if you’re looking at this page you like eat good food. Well congratulations you’ve found a country with really really good food. I’m not only going to tell you about the typical dishes, but I’m going to tell you everything you should try out, even if it’s not typical Chile food. As for the other kinds of food, or the common dishes, I will tell you what they are called because they might have a different name here in Chile and I wouldn’t want you to miss out on any of them. If there’s anything that interest you then click on the link to read in detail. Before I start to tell you about the typical Chile food such as the empanadas , pisco sour, choripanes, humitas, tortillas de rescoldo, harina tostada, etc, let me tell you what kind of food Chile has that isn’t prepared so you can keep your eyes open for them and try them. This country has a variety of fruits and vegetables that grow in different climates. 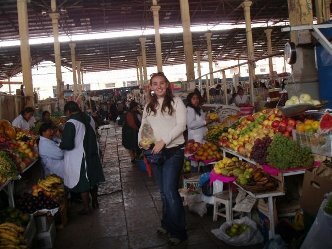 Up north you’ll find the normal desert and tropical fruits, such as mangos, tunas and papayas. Then you’ll find different fruits such as the copao, this has a very special taste and you should try if you get the chance. Then once you start travelling down south you’ll start to see grape vines, apples, quinces, pears, strawberries, blueberries, raspberries, blackberries, oranges, lemons, cherries, watermelons, peaches etc. A special berry found here are murtillas , which are native to the south of Chile, also nalca is from this part but I´m not sure if it´s a fruit or a vegetable. And veggies too like potatoes, corn, artichoke, asparagus, pumpkin, carrots, lettuce, tomatoes etc, etc. A very interesting type of potatoes grows in the south of Chile that tastes very good. It never ends; the fertile valleys provide everything this country needs to create great food. Since there is an extended ocean, there is sea food all over the country. You’ll find a variety of fish, and shell fish (including mollusks and crustaceans). 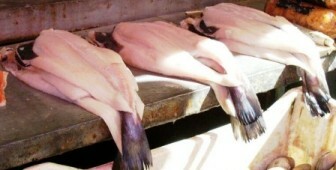 The most common fish found in Chile is the salmon, trout, conger, the croker fish or the Brama australis. As for the mollusks the most common are the mussels, clams, oysters, abalone, Austromegabalanus psittacus or as they call it here picoroco, razor clam and last but certainly not least the myidae (Mesodesma donasium), here they’re called machas; These you have to try. Another thing people eat, are the sea urchins. If you like extravagant food, then try piures (Pyura chilensis). 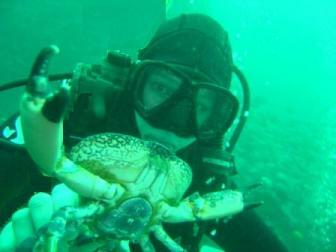 As for the crustaceans you’ll find crabs, lobsters and spider crab. 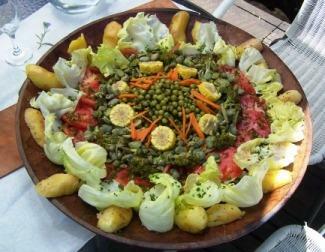 Last of all, one of Chileans typical dishes is made with seaweed, which they call cochayuyo. Then there are the meats. People here eat a lot of meat. They eat cow meat, goat meat, chicken meat, pig meat, wild boar meat, and deer meat, among others. I’m sure you’ll be able to find these kinds of meats all over the world. 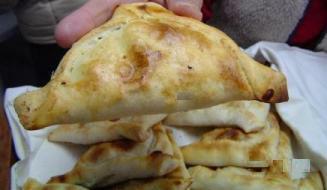 The special thing about these, and makes it a typical Chile food, is the way they are prepared. For one thing they are very very tasty without having to put very many spices, at least the beef anyway. 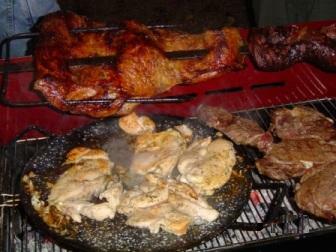 There is a special cut called estomaguillo which is barbequed for about two hours only putting salt on it. Some people put beer. When it’s done it’s full of flavour, unlike any barbeque you’ve ever tried. They call it asado . As for pork products you have the usual sausages for hotdogs, but then there are the longanizas as they call them here. These have a very particular flavour that’s definitely worth trying. They also have another pork sausage called arrollado de huaso, they are tasty but greasy. Something else to try are blood sausages they call them here prietas, they taste very good with potatoes. As for the grains you’ll find the quinoa, it’s a grain that is used a lot by the mapuches. The Chileans also toast the wheat and make toasted flour, which is used for different purposes. They have tortillas too, but they are nothing like the Mexican tortillas. Find out why. Another use for the wheat here in Chile is to produce mote. Last but not least there are the typical dishes of Chile such as the empanadas, cazuelas , asados , pastel de papa, pastel de choclo, humitas, chancho en piedra, pebre, choripanes, locos, picorocos, milcaos, chapalele, paila marina, chupe de jaiba, chupe de loco. Other dishes that might not be typical Chile food but you have to try out if you get the chance, like camarones al pil-pil, machas a la parmesana, trucha salmonidea, fan schop, ñache.